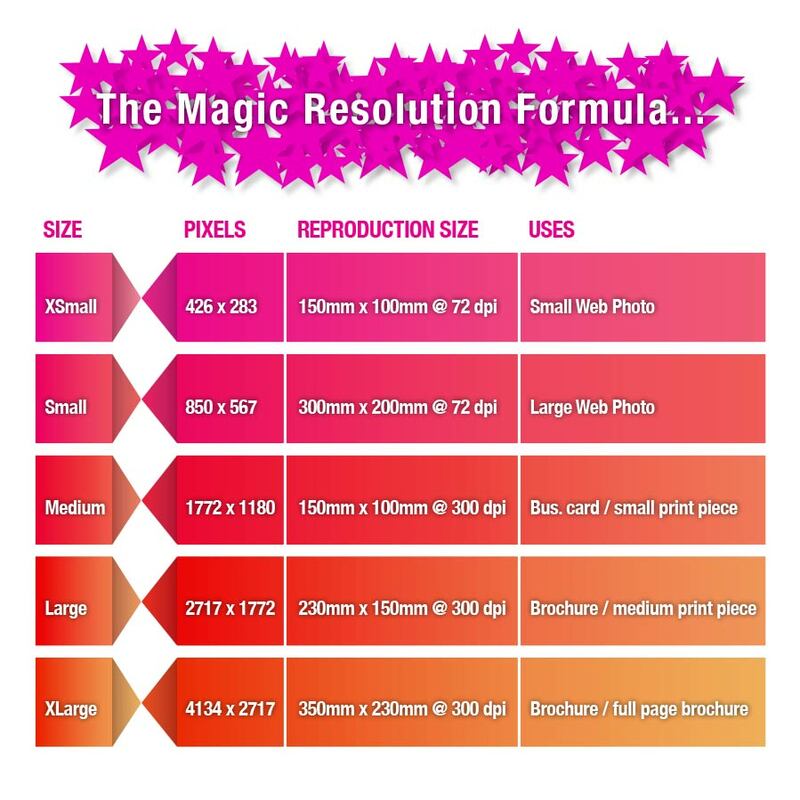 WHAT IS RESOLUTION AND WHAT SIZE SHOULD YOUR IMAGES BE? Resolution, also known as ‘res’ or ‘file size’, refers to the number of elements per square inch that make up your images. Screen images are measured in ‘pixels per inch’ (ppi) and printed images in ‘dots per inch ‘ (dpi). The higher the resolution the better the quality. The minimum resolution required for an image at its final printed size should be: 150dpi for large format (ie posters bigger than A3), 200-300dpi for laser printing and 300dpi for litho printing. To find out if your image is large enough for your end use without pixelating the image, divide the number of pixels by the resolution. This means the printed piece can be a max of 254mm before some loss of image quality. If your printer only requires 150 dpi, then you could print the image as large as 508mm.